To be a master in the kitchen you need great tools. We are proudly teaming up with one of our favourite knife and cookware brands, Zwilling J.A. Henckels and some of our favourite people, to share with you the kitchen tools they can't live without. The results range from essential to unique, and you can win a must have kitchen tool of your own, courtesy of Zwilling. The Chefs of Grey County are making their mark on the food scene in this beautiful area of Ontario. Chef Shaun is known for stocking his restaurant with localy grown produce from his own 5,000 square foot garden. His must have kitchen tools are his chef’s knife and cast iron pan. Chosen for it’s versatility and virtual indestructibility, he appreciates how you can pass down good cast iron pieces from generation to generation. He has his grandmother's pieces and loves making anything from roasted potatoes to breakfast crepes with his daughters. Rheanna Kish is a Chef and one of the masterminds behind the Southern Georgian Bay Community Cookbook, Come to our Table. This beautiful book is filled with 54 easy-to-follow recipes all contributed by local chefs, restauranteurs, farmers, B&B owners and food professionals. A true labour of love, Chef Kish donates 10% book sales to a community fund that supports local breakfast clubs, school gardens, and other food programs for children. Versatility is key for Rheanna, as her favourite tools in the kitchen all play many roles. Her Chef Knife “does everything” and she loves it for that. She also thinks a good pair of tongs and a cast iron skillet is critical as you can make anything in a good skillet. It can also be used for smashing or crushing garlic, nuts or other ingredients. Chef Shawn Adler is the ultimate multi-tasker. 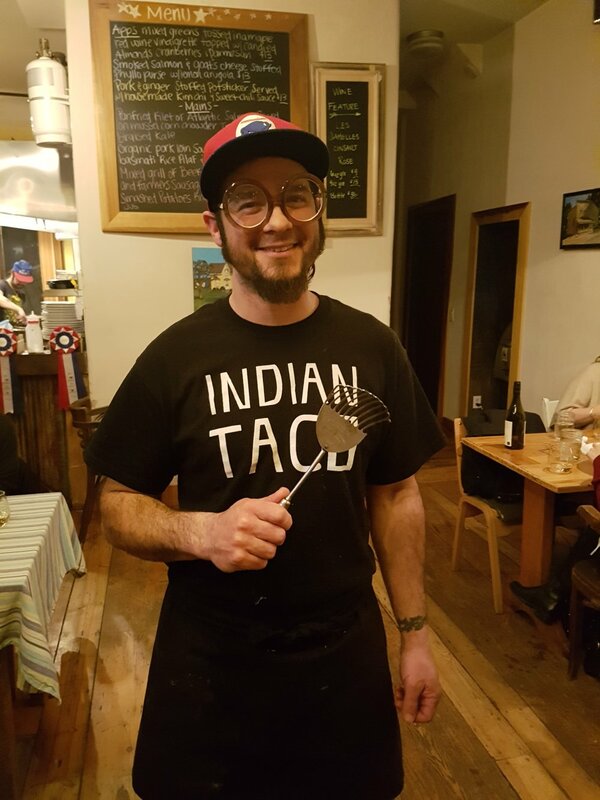 He is the chef and owner of The Flying Chestnut in Eugenia, the Pow Wow Café in Toronto, and hosts a pop up supper club in Peterborough. Chef Shawn professed his adoration for the multi-purpose, antique Kitchamajig. He loves this tool so much he regularly scavenges antique sales to find these priceless, all-purpose tools to give to friends when they open a new restaurant. This kitchen tool is as much of a multi-tasker as Chef Shawn. It mashes potatoes, strains food, makes poaching and beating eggs easier, and is perfect for handling delicate fish. We were fascinated by Chef Shawn's kitchen tool of choice as we are always on the hunt for the lastest and greatest gadget. The Kitchamajig was first sold in 1945 and, although it's no longer sold in stores, vintage Kitchamajigs can be found on eBay for less than $20. Chef Shawn's colleciton of vintage Kitchamajigs. As a home cook, I can’t live without my Zwilling Henckel knife block – a knife for every purpose, I love the variety and sleekness of the design. They are so easy to sharpen and fit nicely in my hands. Featuring a traditional 3-rivet handle design, this knife is true precision. The new wedge-shape and bolster design deliver comfort without compromising the cutting edge. This knife is an all-purpose knife for the professional or hobby chefs. We love the no stain steel and how this knife easily rocks during cutting or chopping. Enter now! What's your favourite kitchen tool? CONGRATULATIONS TO OUR WINNER ERIN WILSON OF BRITISH COLUMBIA! 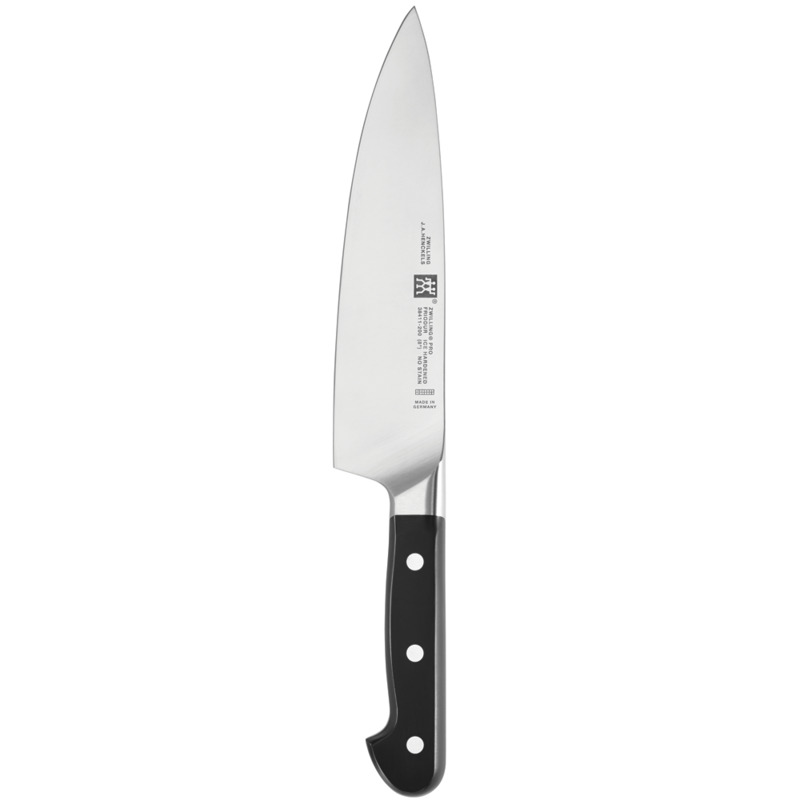 YOU WILL BE CONTACTED BY EMAIL WITH DETAILS ON DELIVERY OF YOUR ZWILLING PRO CHEF'S KNIFE!